Leading adult affiliate network CrakRevenue has added Twero to it’s long list of adult camming affiliate offers. Twero is a new camming site located in the Netherlands and brought to you by the same people behind IsLive. Although Twero does have an in-house affiliate program, American affiliates can now take advantage of CrakRevenue’s cashout methods, which are more friendly than the wire transfers offered by VPSCash, the in-house Twero affiliate program. The Twero affiliate program through CrakRevenue pays a $2.60 PPL. You’ll earn $2.60 for every qualifying registration that is made through your banners or links. CrakRevenue provides affiliates with a selection of banner ads to promote Twero. Multiple animated ad artwork available for a wide range of sizes and shapes. CrakRevenue has artwork for all of the most common used ad zone sizes and orientations. Interested in becoming a CrakRevenue affiliate? You can either signup here or learn more about CrakRevenue by checking out the link below. 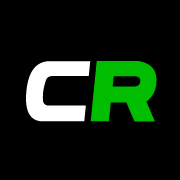 CrakRevenue is a leading camming affiliate network with tons of offers to promote. All the leading camming sites are included and CrakRevenue has the exclusive affiliate offers for MyFreeCams and CAM4.